Should you use retinol or vitamin C for wrinkles? 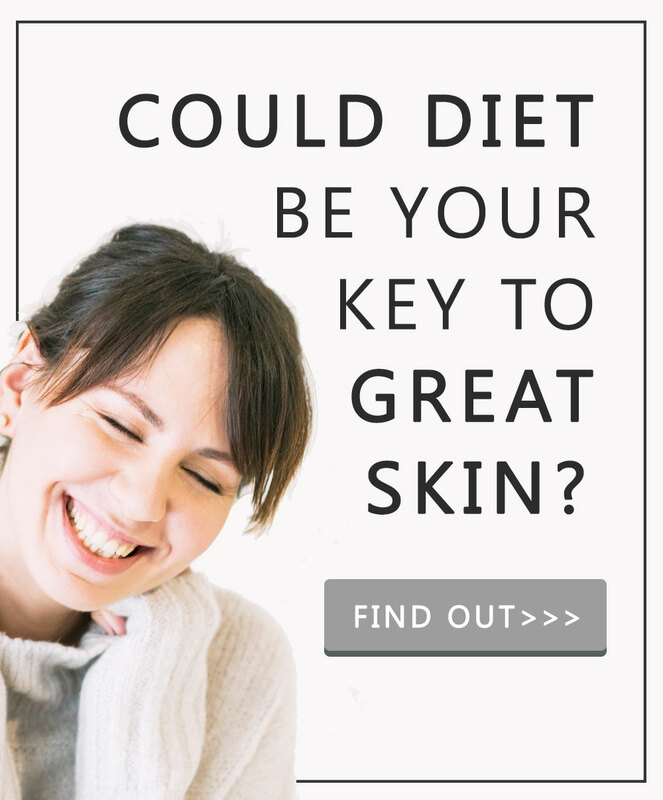 Hmmm… great question dear skin savvy. Retinol is considered the king of anti-ageing skincare, however vitamin C is like the amazing foundation/serum/chocolate cake/new restaurant you found last week which after using/eating/going to just once you feel like – how the heck have I not heard about this before? Why don’t they advertise this (!) My life was not complete before I found you. There might not be 5 star TripAdvisor reviews yet – but it doesn’t mean your life was any less changed. Retinol and vitamin C are both fantastic skincare superheros for wrinkles, wrinkle prevention and wrinkle rewinding. …oh and the little extras like pigmentation, skin tone evening, brightening, smoothing and basically just anything which means being awesome. Can You Use Retinol and Vitamin C Together? Mixing your skincare can be worrisome. I mean who wants to eat chocolate spaghetti with Cheerios? Cucumber covered bacon with a side helping of milk? Roasted potatoes on a bed of strawberry jam served with raw pasta. Can you imagine? But when it comes to skincare, you don’t get to eat with your eyes. Everything looks white, creamy, face oily or serumy. …until you look at your skincare ingredients list. Here’s where the secret lies my friend. Because retinol and vitamin C both come as different kinds of retinol and vitamin C.
Imagine them both like a family. You have a retinol daddy, mommy and son and you have a vitamin C papa, mumma and daughter. Bottom line: Retinol and vitamin C used together can work marvellously, however you need to make sure you’re using the right kind. Here’s the kind you don’t want to be using together. Using ascorbic acid and retinol together would be like organizing a holiday with the friend who loves snow, Christmas and bundling up in big cozy jumpers plus the friend who loves beaches, bikinis and sun sipped margaritas. You’ll meet somewhere in the middle and no-one will be happy. Ascorbic acid and retinol have different pH levels they love. Pssst! pH is a measure of how acid or not something is. Lemon is acidy, water is neutral and spinach is non-acidy aka alkaline. Ascorbic acid loves low pH levels. Retinol loves higher pH levels. Both of these skincare ingredients work best when they’re in a habitat they love. Take ascorbic acid as an example. Ascorbic acid not only works better at a low pH level, it’s able to absorb into your skin better at a low pH level. This is very important because anti-ageing skincare needs to get into deeper layers of your skin. Double Pssst! 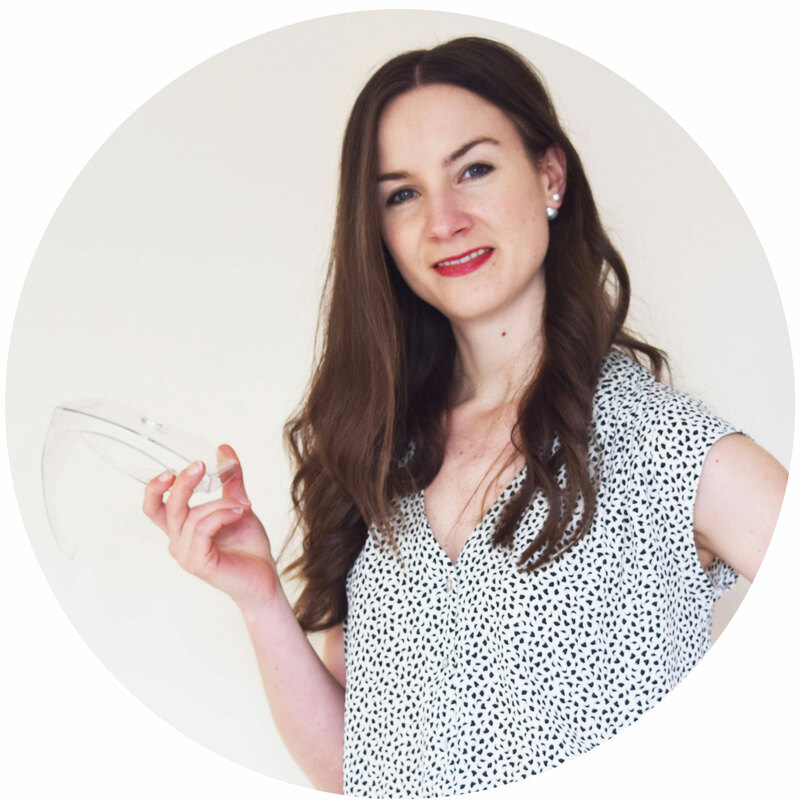 If all of this is getting crazy techy for you – come SkinCoach with me – I’ll make you a skincare routine which plays perfectly and is supercharged to help your skin look and feel better. Now onto the super science-y bit; Vitamin C as ascorbic acid becomes protonated at low pH levels (<3.6), meaning it has no plus or minus charge and can therefore travel through your oily, neutral skin barrier quickly. Ascorbic acid at low pH is like a human diving head first with their hands pointed out, ascorbic acid at high pH is like a human doing an enormously spectacular belly flop. Bottom line: Don’t use vitamin C as ascorbic acid and retinol together. 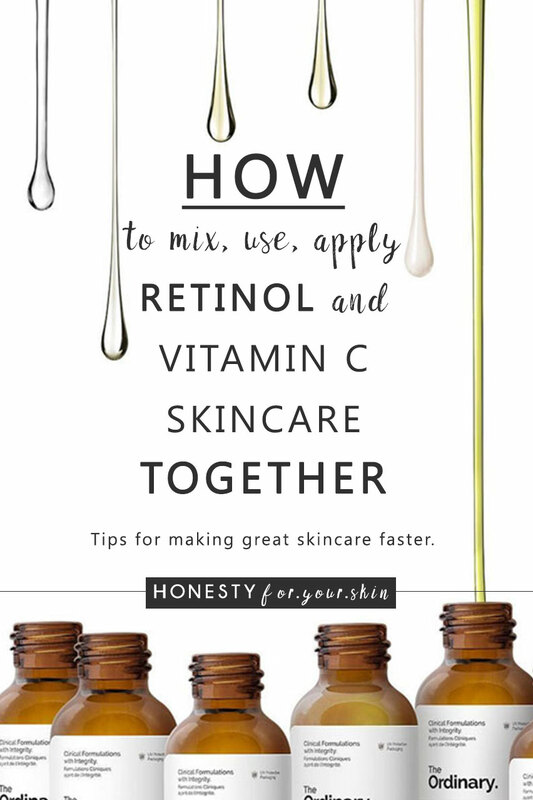 Here comes the exciting bit, how to use retinol and vitamin C together. How to mix without worry of your skin eating chocolate spaghetti with Cherrios. The secret is by using other, protected forms of vitamin C with retinol. Some people call these indirect vitamin C because your skin needs to dissolve off the protecting bit before using. Like taking the wrapper off an ice lolly or the lid off your bottle of coconut water. 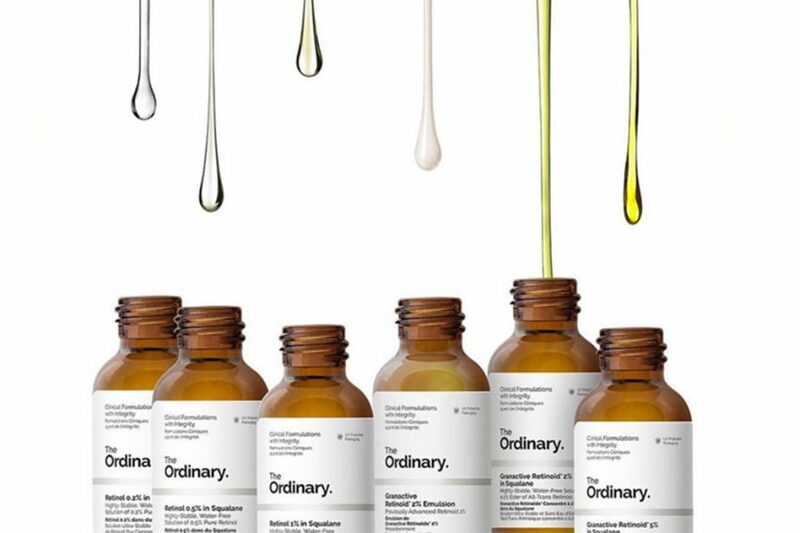 The Ordinary has a great range of budget friendly vitamin C skincare which you can buy from Beauty Bay – great for low to free international shipping rates – here. 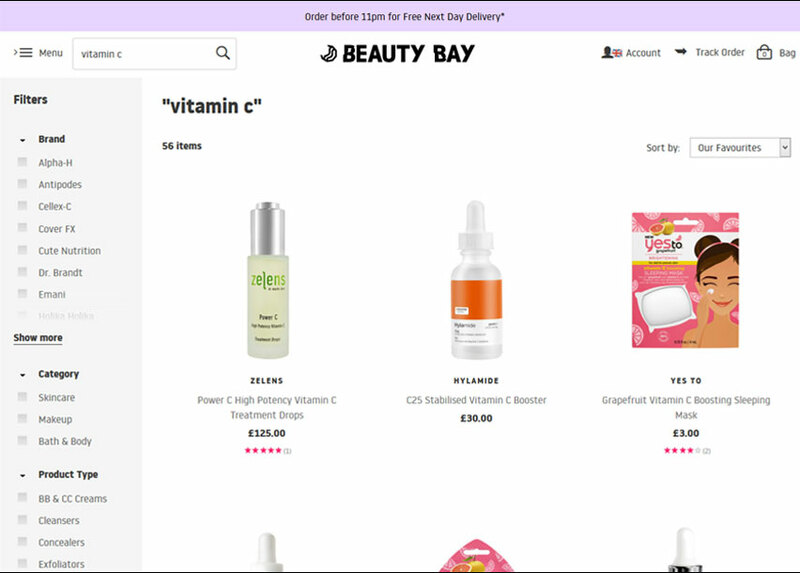 You can also type in Vitamin C to see if your favourite skincare brands make their own version. 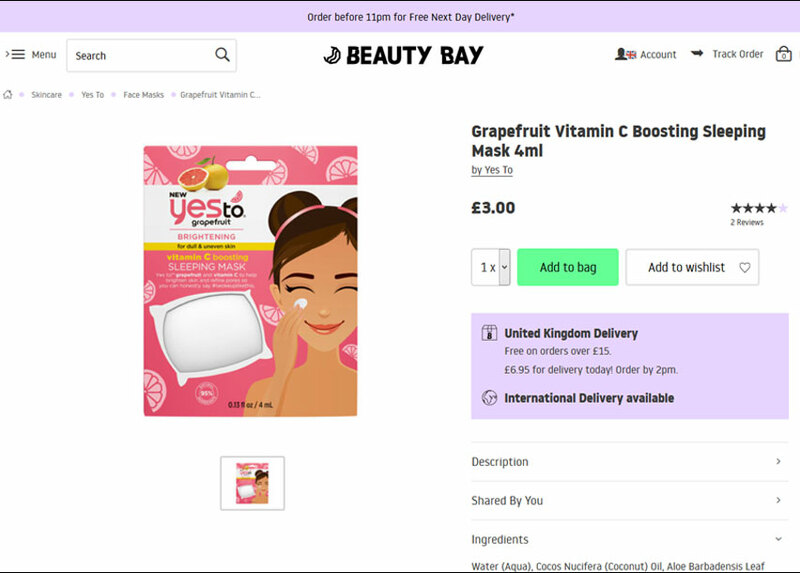 Super tip – don’t do this on Google, the shopping results will bring you up lots of different products which 1) May not actually contain vitamin C and 2) May not contain the type of vitamin C you’re looking for. 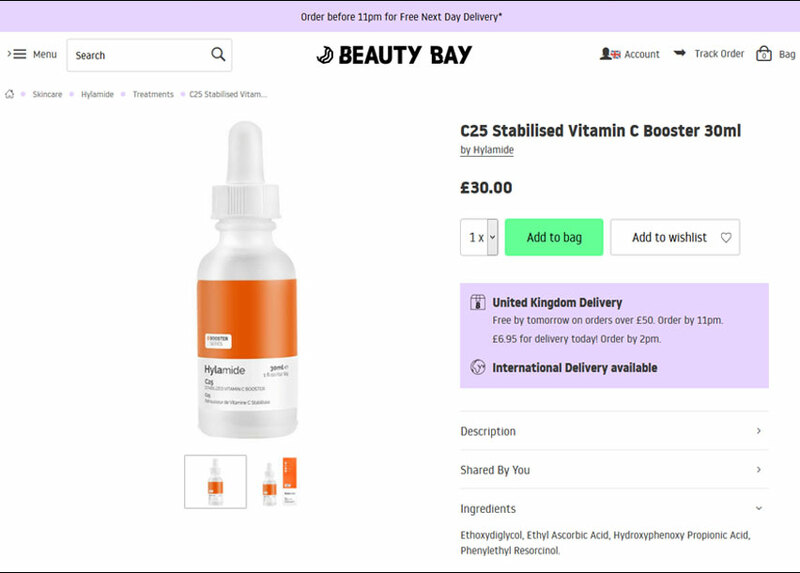 First up the Hylamide C25 Stabilised Vitamin C Booster– £30, great for wrinkles, anti-ageing, smoothing, brightening and more. Ethoxydiglycol, Ethyl Ascorbic Acid, Hydroxyphenoxy Propionic Acid, Phenylethyl Resorcinol. Awesome stuff – you now know Hylamide’s C25 Stabilised Vitamin C Booster is an indirect form of vitamin C, which can be used with retinol. Water (Aqua), Cocos Nucifera (Coconut) Oil, Aloe Barbadensis Leaf Juice, Glyceryl Stearate, Butyrospermum Parkii (Shea) Butter, Glycerin, Behenyl Alcohol, Simmondsia Chinensis (Jojoba) Seed Oil, Theobroma Cacao (Cocoa) Seed Butter, Cetearyl Olivate, Sorbitan Olivate, Citrus Paradisi (Grapefruit) Seed Oil, Citrus Grandis (Grapefruit) Peel Extract, Citrus Aurantifolia (Lime) Peel Extract, Citrus Aurantium Dulcis (Orange) Fruit Extract, Citrus Limon (Lemon) Peel Extract, Persea Gratissima (Avocado) Oil, Glycyrrhiza Glabra (Licorice) Root Extract, Mentha Citrata Leaf Extract, Ascorbyl Glucoside, Tocopheryl Acetate, Glyceryl Caprylate, Xanthan Gum, Stearic Acid, Ethylhexylglycerin, Pentaerythrityl Tetraethylhexanoate, Sodium Hydroxide, Phenoxyethanol, Fragrance (Parfum), Benzyl Benzoate, Limonene. Eye ache avoidance trick: Press control+F on your computer and type in ‘asc’ the first bit of ascorbyl or ascorbic – every form of indirect vitamin C has it. Then you’ll find this pop up; Ascorbyl Glucoside. Perfect! You now know YesTo Grapefruit Vitamin C Boosting Sleeping Mask contains vitamin C that can be used together with retinol. Aka vitamin’s A and C make a powerhouse team for anti-ageing. While you can use retinol and vitamin C as ascorbic acid in the same routine by waiting some time inbetween – what a pain ‘eh. Instead you can benefit from the anti-ageing A-team of both by either using an indirect form of vitamin C and retinol or – extra kudos – finding a product which pre-mixes them both together. Perfect examples of how retinol and vitamin C used together can be like chocolate cake instead of chocolate spaghetti with Cheerios. The how to use retinol and vitamin C together bottom line: Use indirect vitamin C with retinol together or use vitamin C as ascorbic acid in your AM routine and retinol in your PM routine.